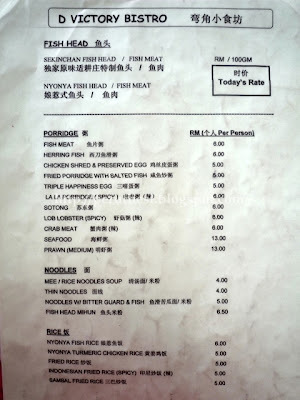 Overall comment: One of the best porridge that I've ever eaten - creative & innovative type of porridge, unlike the common fish, pork, chicken, or century egg porridge sold everywhere else. This place has been here for quite some time, but since I rarely come over to this area, I haven't tried the porridge here. 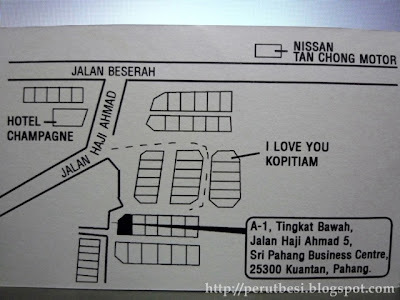 I can't even recall dining at "I Love You" Cafe, a place where every other Kuantanian knows. It's non-peak hour at that time, so the place is quite quiet. 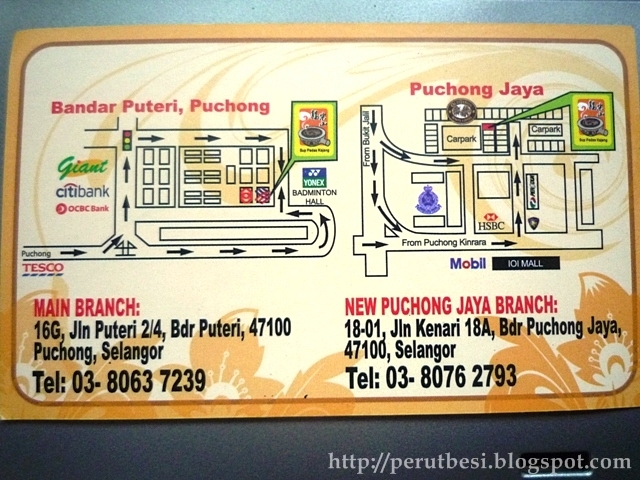 According to my friend, this place is quite popular for their delicious & special porridge. 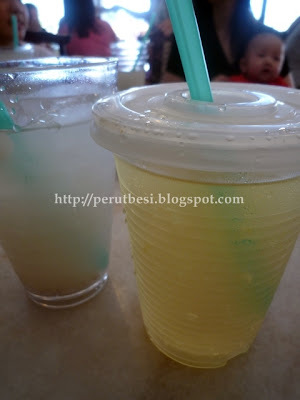 We all had this very refreshing & healthy drink. 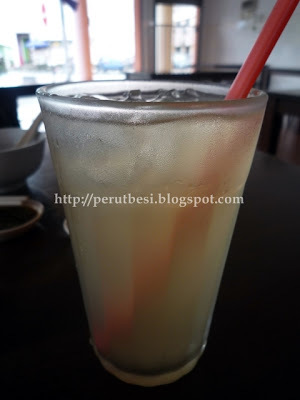 Chinese will call this a "ching" & "yeon" drink that will help clear the heat from your body. 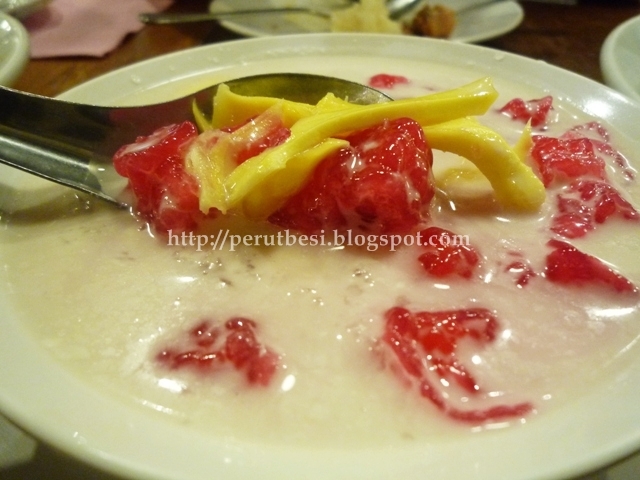 This photo shows a bowl of porridge for 2 persons. 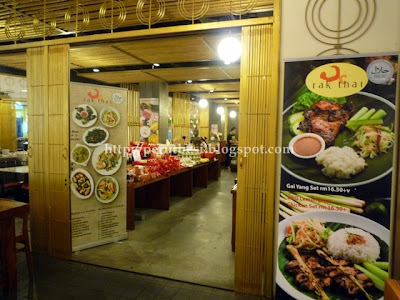 The "har kou chook" is said to be one of the best porridge available here. I haven't had such interesting looking porridge - it's not white! It's just slightly spicy, but when you add their special chilli dip, it makes this porridge taste like a "tom yam" flavour porridge with mantis prawns. Fuh. Power! 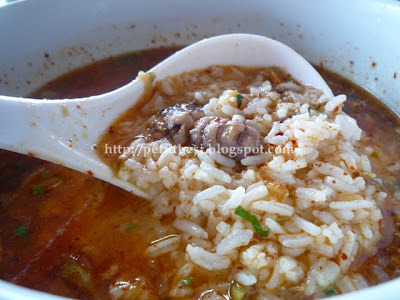 I prefer the mantis prawn porridge to this variant as it was more unique. This salted fish porridge (photo also shows portion for 2 persons, but fed 3 of us!) was really as its name speaks - salty! Ok, it was not overly salty, but it was saltier than the mantis prawn porridge! 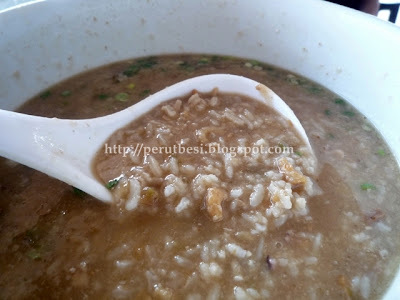 This porridge is quite fragrant, with dried shrimp & bits of aromatic fried salted fish. 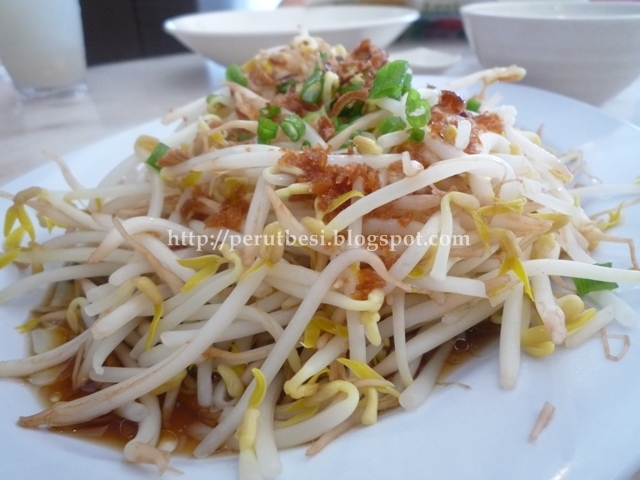 If you're a fan of salted fish, this is something you must not miss when you're in Kuantan. Go satisfy your tastebuds to the salted fish fried rice (the ones here are different from the ones in PJ) & this salted fish porridge as well! This was very interesting. 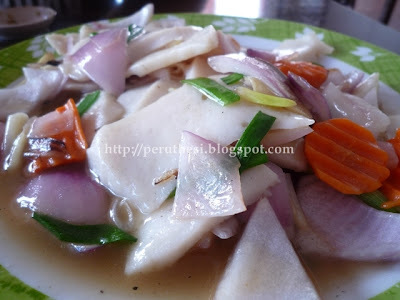 Usually, the fish paste is slightly rough & shaped into balls, but this one came out flat like fish slices. It was really smooth & easy to eat as well. I was impressed. My 1st time having such SMOOOOOTH fish paste. 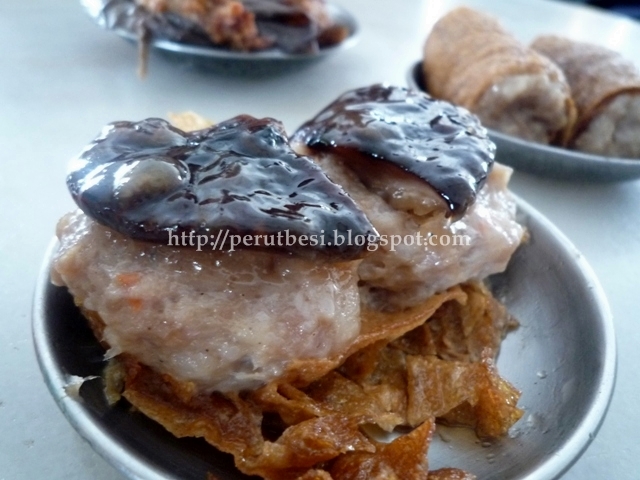 The owner said it's home-made fish paste & recommended us to try; we just agreed! We didn't even ask of the price, but the guys won't mind at all....as long as it tastes good, they'll be more than willing to pay for it! 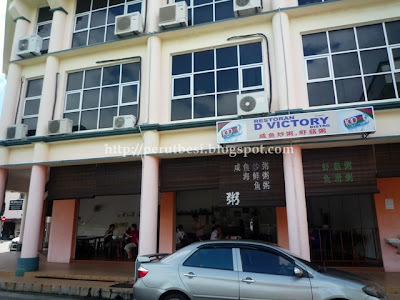 If you're in Kuantan & would like to try something different, pop by to D Victory. I personally feel that it's a good option for a meal. 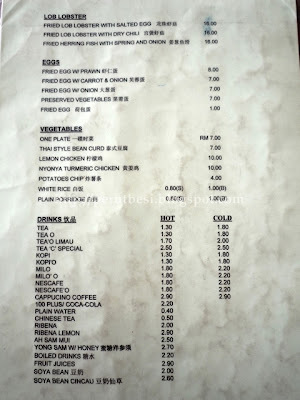 Those who are ill can opt for simpler porridge like the usual fish/chicken/century egg porridge, which are also available here. 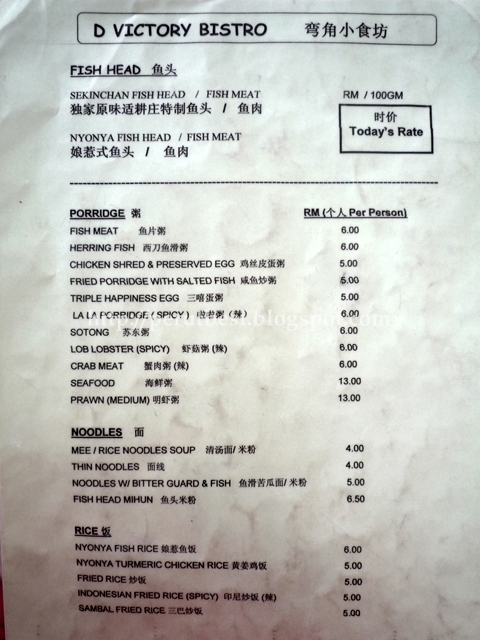 My friend told me that the Lala & Seafood porridge here are pretty good as well, with loads of lala/seafood pieces. Those 2 variants will be my next target. Heehee. I've passed by this place quite a number of times, but have never tried it before 'til my church friends in Kuantan brought me here. As I don't have a car here, I usually depend on the mercy of those with wheels to introduce me to good food places around town...hahaha. 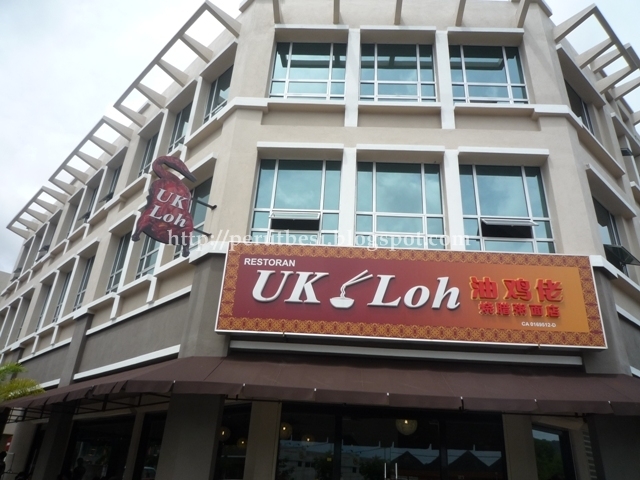 UK Loh is a relatively new place in a pretty new commercial shoplots (probably a year old or less?). Occupancy in these shoplots are not even 100%, I think. But UK Loh sure created waves with its roast duck & roast pork ("siew yoke"), where many have claimed that it's one of the best in town! 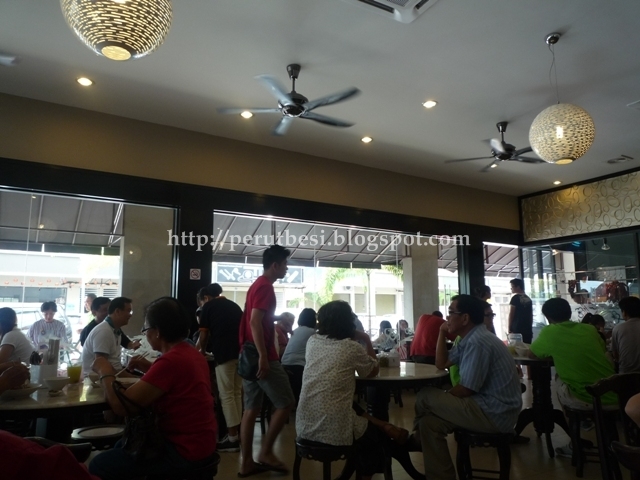 As you can see, this small corner restaurant is packed to the brim & at that particular lunch hour, there were even people standing around to wait for seats/table! I was impressed, no doubt. It's apparently a very popular restaurant of late & people often have to wait for a seat during peak hours. 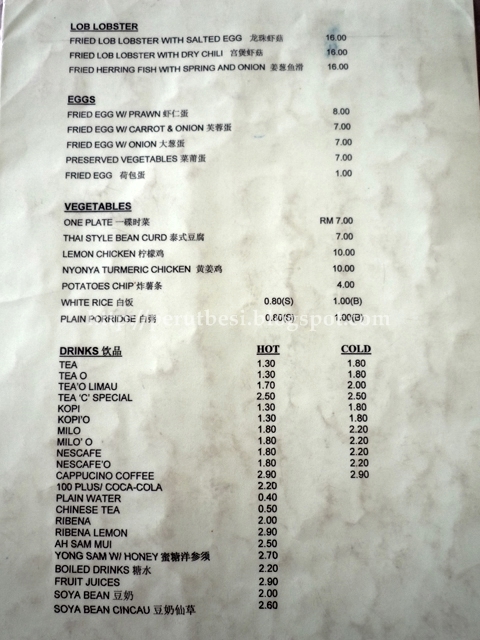 Prices of food is actually quite reasonable, considering the place is air-conditioned with good ventilation. You won't smell of roast pork/oil when you walk out of the restaurant. 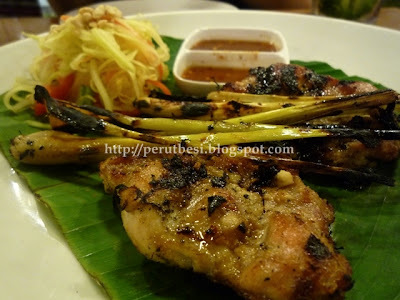 There's nothing spectacular about their steamed/white chicken nor their barbecue pork ("chy char siew"), but their roast pork ("siew yoke") is commendable :) Crispy skin topped on a juicy chunk of fragrantly marinated pork, especially at the bottom, just made my day. Their roast duck is apparently good as well, but I still think that the roast duck (a different variant, apparently) at Golden Lucky Restaurant is by far the best in Kuantan. It's just egg noodles with dark soya sauce. 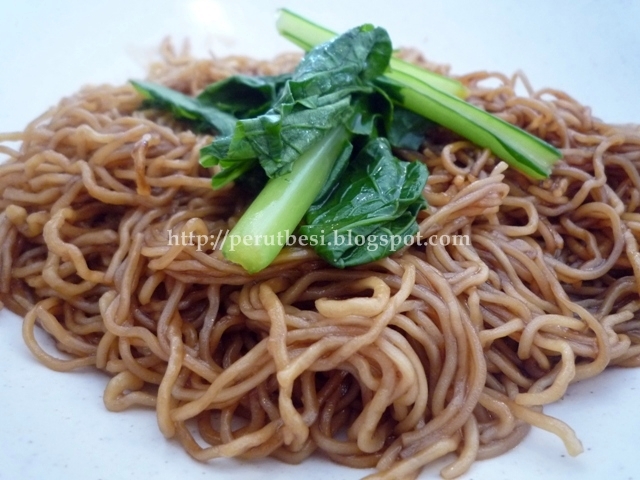 The noodles were okay; texture was slightly springy, but the sauce lacks fragrance. Golden Lucky's is still my choice even though I haven't been back there for ages to see if the quality of food is still the same. 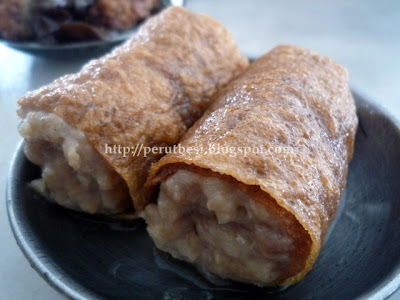 Yums! 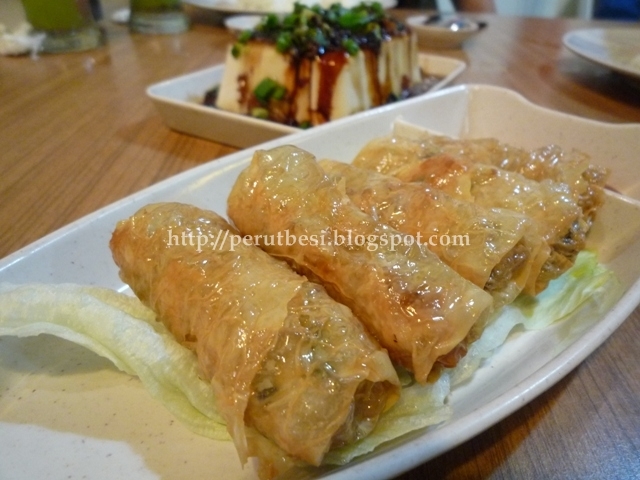 A pair of fresh, 'crunchy' prawns (what the Chinese call as "chui/song hao") wrapped with generous amount of minced pork & some veggie (I think there was turnip/carrot in it...I can't recall) in silky smooth "wan tan" skin. Each serving has 5-6 dumplings along with a handful of "choy sum". 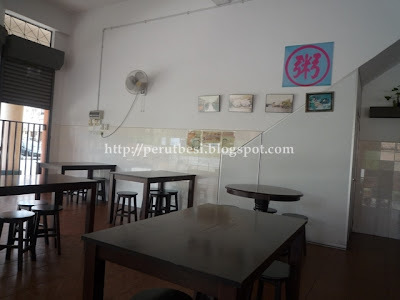 I won't mind heading there again for their "siew yoke" rice/noodles. 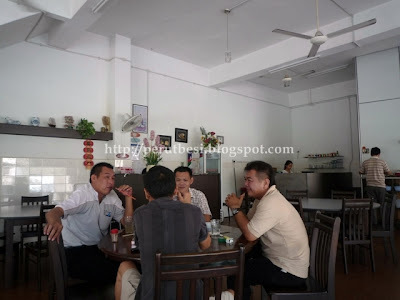 If it's char siew in Kuantan, nothing, certainly nothing, beats Bee Hiong's at Jalan Gambang. 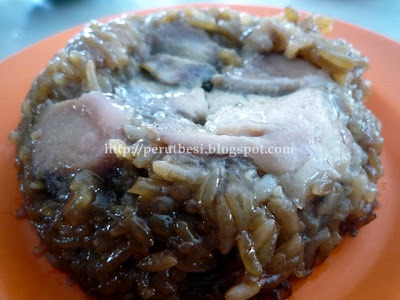 I haven't had such delectable "char siew" even in PJ/KL! Ah, good food...Malaysians are truly blessed with talented & skilful cooks (and loads of ruthless eaters in the making as well, I'm sure!!). Note: Opposite SK Galing school. It's opened for lunch & I think dinner as well. 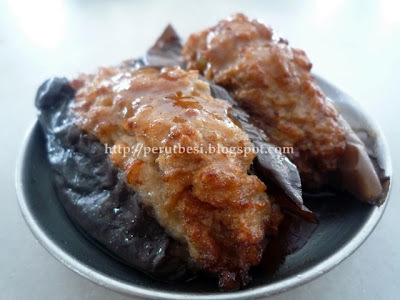 Overall comment: "Power" dim sum at a small, simple coffeeshop - my personal opinion is that they have the best stuffed brinjal dim sum EVER, not only in Kuantan, but also in PJ/KL! Why? 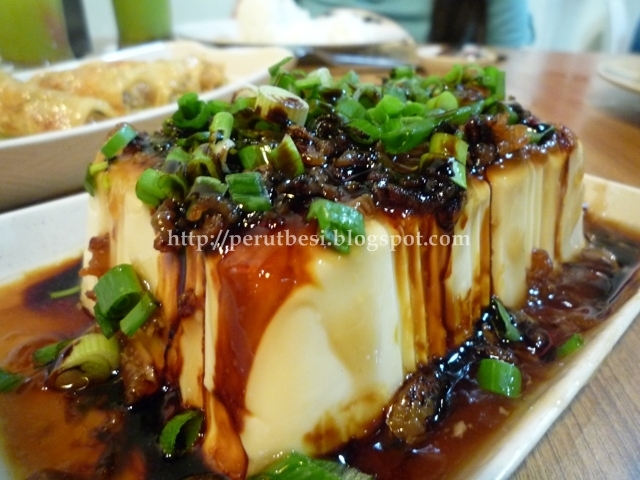 It's not pure fish paste...delicious well-marinated minced pork! Seng Kong's is a coffeeshop in its own land. So if you're coming from Pantai Selamat on your right, once you turn left, you'll see Seng Kong on your right not too far from the junction that you turned in. It's somewhat opposite Croc Deli (or what's the cafe's name....it's opened by Crocodile Rock Restaurant/Bistro). Each time I'm back in Kuantan, I will surely want to sink my teeth into the dim sum at Seng Kong, especially the stuffed brinjal ("yong ai gua"). I could eat at least 2 plates of brinjals although it's said to be not very good for healthy if we over-eat - creates wind in stomach & affects the eye sight. Just check it out...generous minced pork stuffing in the brinjal pieces. 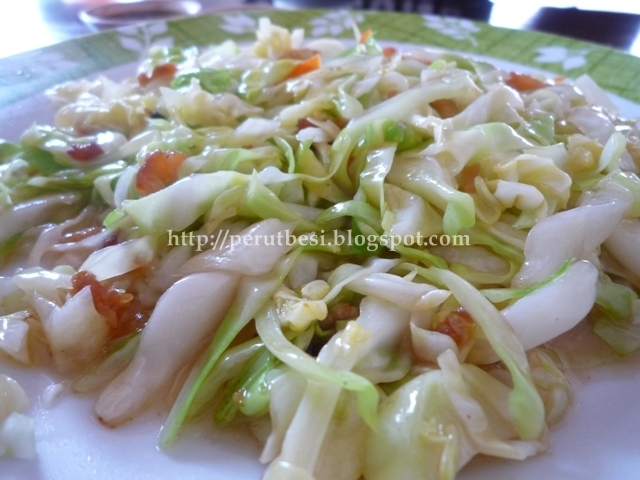 Juicy, bursting-in-flavours "yong ai gua"...really "mou tak deng"! Not the best, but I still enjoy it. One of my all-time favourites. Juicy & meaty fish paste wrapped with soft & thin "fu chok" - steamed to perfection. 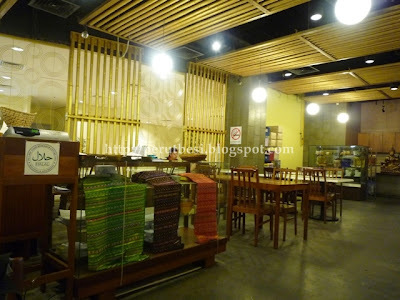 p/s: The owner of this coffeeshop is quite entertaining. 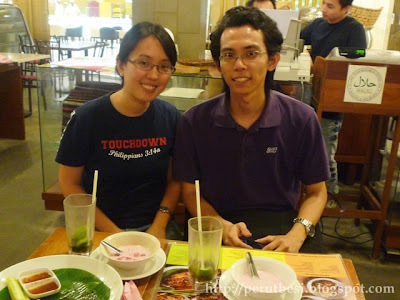 When he calculates your food prices, he's like some "machak" who counts really fast! You can't really catch what he's counting, but it's accurate! Overall comment: Food was so-so. The so-called "sticky-rice" could be thrown at some robber to knock that fella out! - Yes, it's dry, hard, & bleagh...thankfully it's a coupon deal where I didn't have to pay that much to try out the food here. If restaurants provide their patrons with equally good food through coupon deals, I guarantee they'll receive many folds in return! It was my first time meeting Henry after talking about meeting up for so long! Believe it or not, we've never crossed paths, even in food tasting events...how strange, eh? After some thought, I suggested to meet up at Mid Valley's Rak Thai as I needed to use the coupon deal that I bought quite some time ago. The deal was a set meal for RM10.90/set, consisting of a drink, a rice dish (choice of 2 types of dishes), & a dessert. 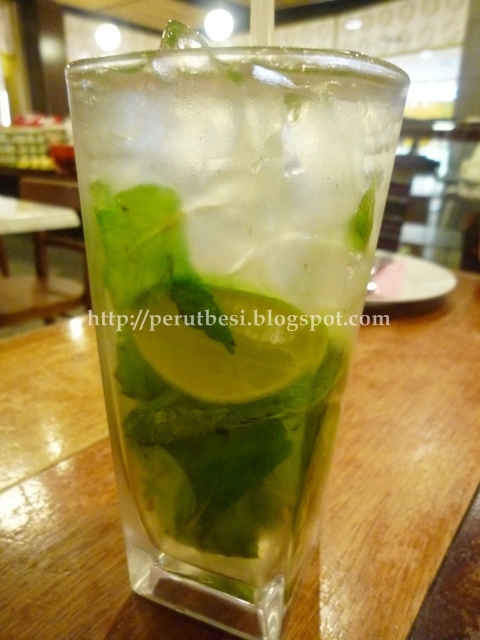 Refreshing drink - as I love the fresh mint smell & taste, this zesty-tasting drink is a good thirst quencher, especially on a hot day. Portion isn't very generous; my photo makes the portion look bigger than the actual...haha. This dish comes with white rice & it was quite dry since there wasn't any gravy nor sauce for the chicken dish (apart from the chili dips). The BBQ lemongrass chicken was probably over-cooked as it was rough & quite charred. 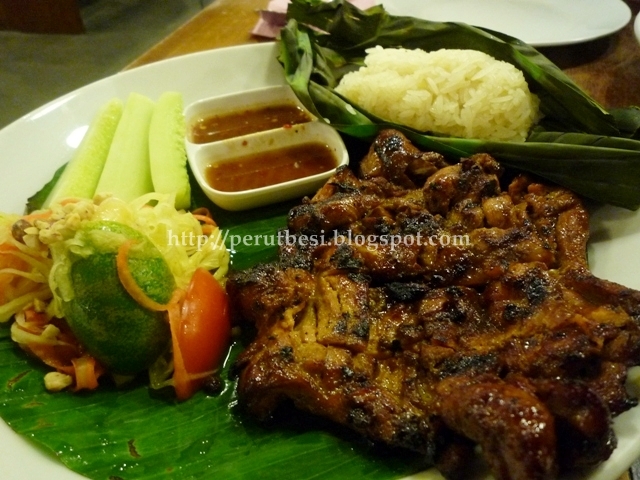 Not up to expectations *sigh* The pickles/mango kerabu side dish wasn't wow either. The chicken was definitely better as it was "juicier" albeit also without gravy/sauce. 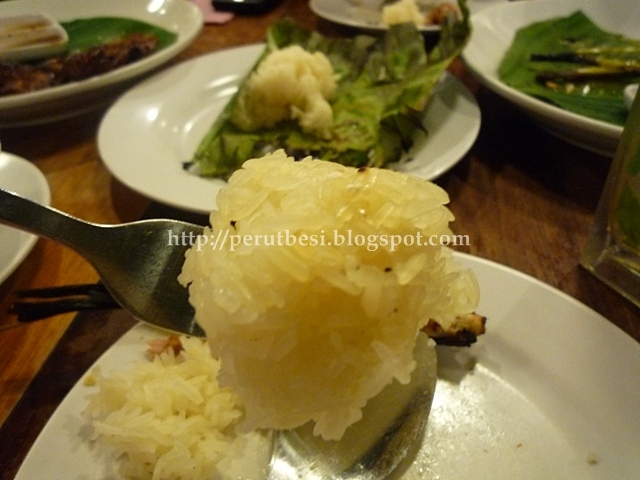 The one very horrible set back was the so-called "sticky rice". It wasn't sticky at all! I was expecting a block of fragrant, soft, & slightly sticky glutinous rice, but it came out dry, hard, & crumbly. We even asked for it to be changed (the 1st one was really hard & cold), but the replacement wasn't any saving grace. Just as bad, but it was warm =.=" Fail. It wasn't fantastic, but edible. Certainly not a good tub tim krob. 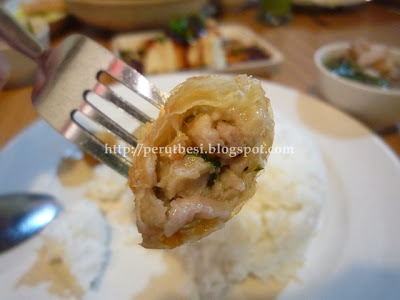 I felt that it was too "flat-sweet" :( Ah, I really miss one of the best Thai food I've ever had in Penang last year at Moo Kata. I wonder if the stall/restaurant is still there. MISS!! 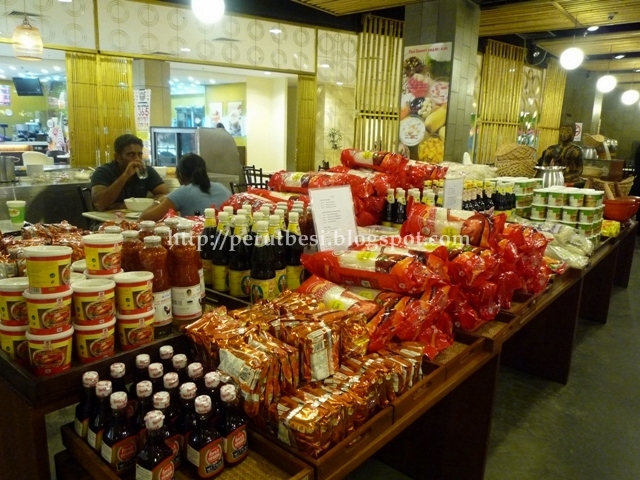 They sell assortment of goodies from Thailand at the restaurant as well. I doubt I'll bother coming here again. There are just too many better options at Mid Valley/The Gardens. 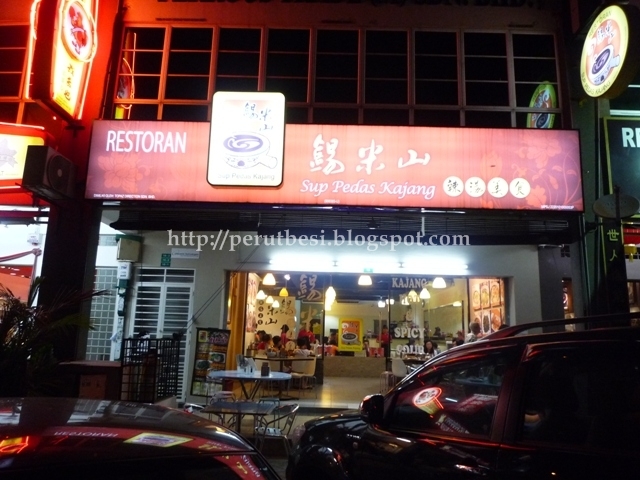 I just thought of trying out this place using the coupon deal since I haven't tried it before - once bitten, twice shy! I was craving for the Kajang's "lat thong"/pepper soup for a rather long time. 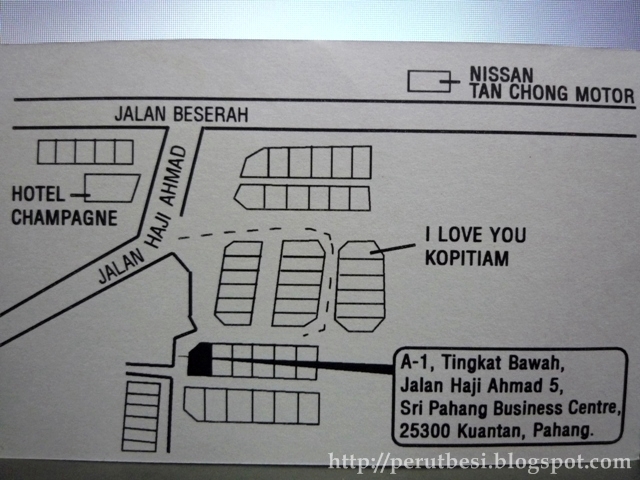 Since I left my previous company, I rarely go over to places like Cyberjaya/Kajang/Seri Kembangan unless necessary. 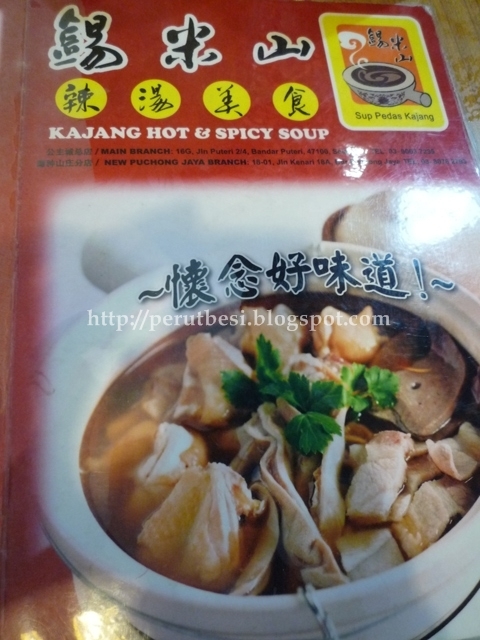 This particular restaurant for the Kajang's famous pepper soup has been around in Bandar Puteri Puchong for quite some time (at least a year or more). 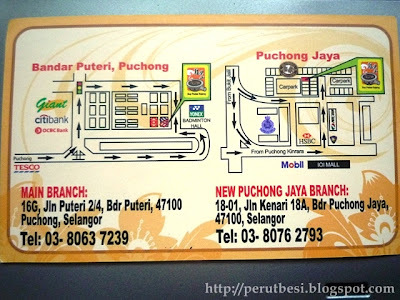 As I don't stay in Puchong nor am I bothered to travel all the way here, I rarely come by Puchong unless it's to meet up with friends who live within the vicinity. What I like about such dishes is the piping hot peppery soup, which gives the umph to a meal. The meat is nothing unusual - just like "bah kut teh". I just fancy the fragrance of pepper soup with the sweetness of the meat all cooked in a hot claypot. 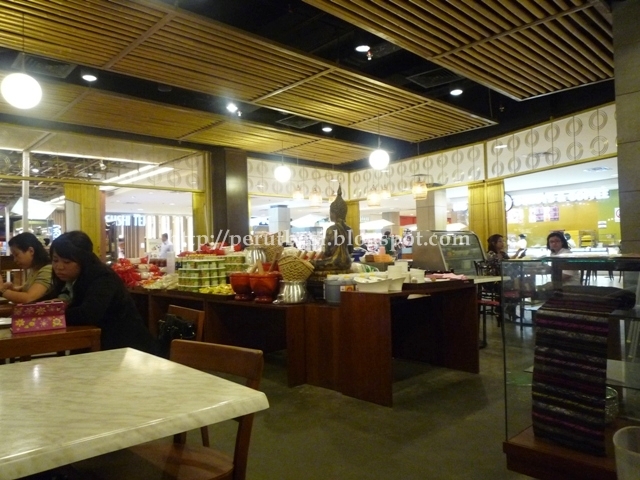 The restaurant serves noodles & rice, catering to individuals & families/groups with different preferences. I've yet to try their noodles since I was very focused on having the pepper soup with rice that evening. I was expecting some longer, crispier roll, but this appeared instead. Taste-wise, it's pretty delectable although nothing great. 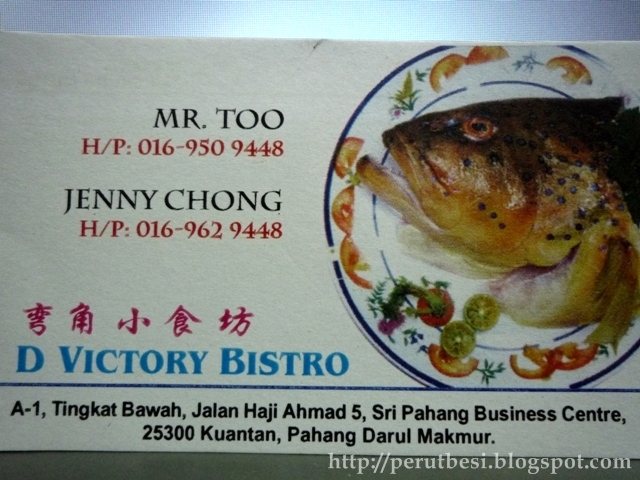 The meat was "roughly" minced along with some prawns, turnips, & parsley. 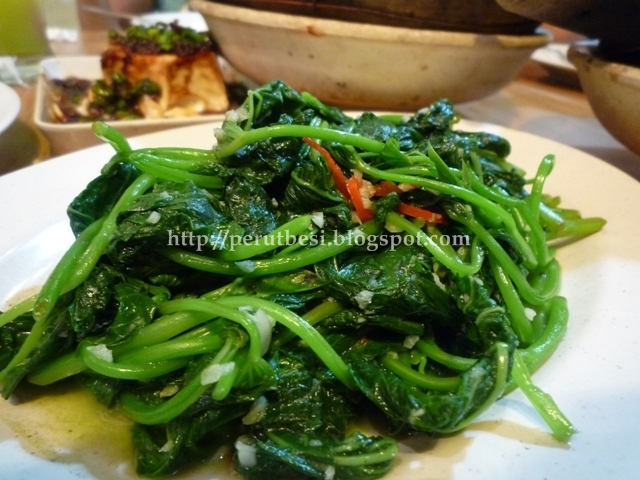 "Holiao" means "tastes very good" in Hokkien, but this one wasn't all that holiao after all. 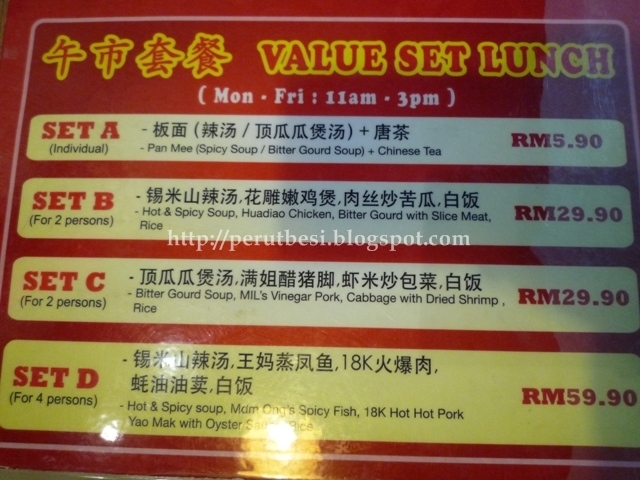 We ordered for 3 persons, so this pot costs RM32.70. 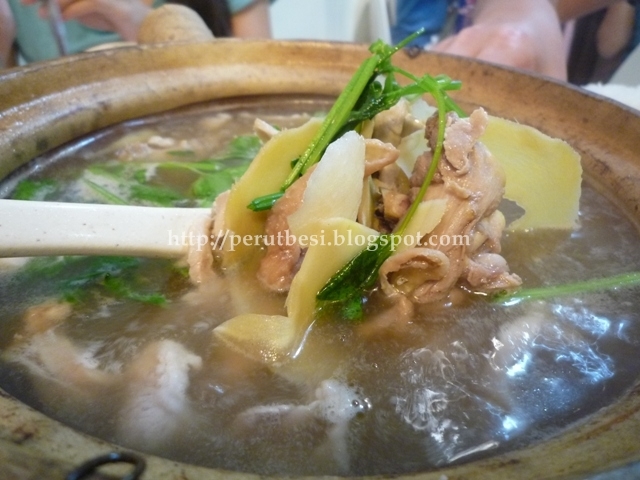 It has a generous serving of pork, chicken, pig's stomach & liver (we opted this out), along with ginger, Chinese parsley, & loads of pepper. I enjoyed this very much. 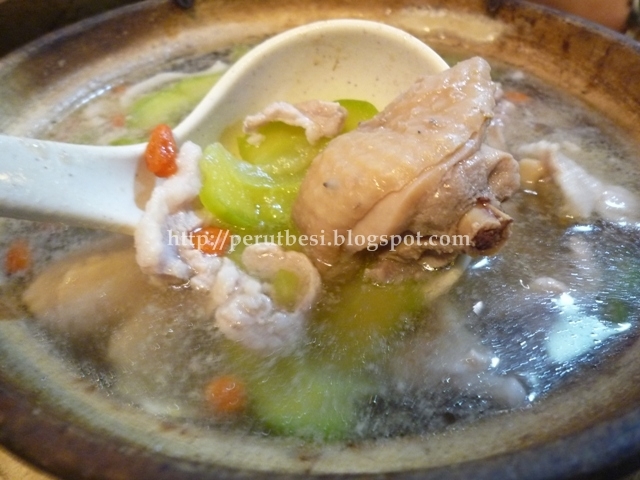 The soup was "sweet" with all goodness of the chicken's & pig bones' stock. Nothing spectacular. Thank goodness the veggie wasn't old or over-cooked. Business hours: 11:00a.m. - 10:00p.m.